Right after describing the Kingdom of God as a mustard seed, Jesus tells the disciples to find a boat and cross over to the other side of the lake. We know the storm story, a violent Galilean squall arises just as they are in the middle of the lake and Jesus calms it…much to the disciples amazement. But this amazement is nothing compared to what they thought when they landed on the other side in the Decapolis or Gentile territory! Up to this point, Jesus had made it known that their mission was to the lost sheep of Israel, in fact He had told them to NOT go into Gentile territory. “These twelve Jesus sent out with the following instructions: ‘Do not go among the Gentiles or enter any town of the Samaritans. Go rather to the lost sheep of Israel.’” [Matthew 10:5 – 6] Maybe He had heard the wails and screams of Legion while He was Capernaum or on the Mount of Beatitudes and His compassion was aroused. No matter why the decision was made, it was certainly unusual and surprising to the disciples! 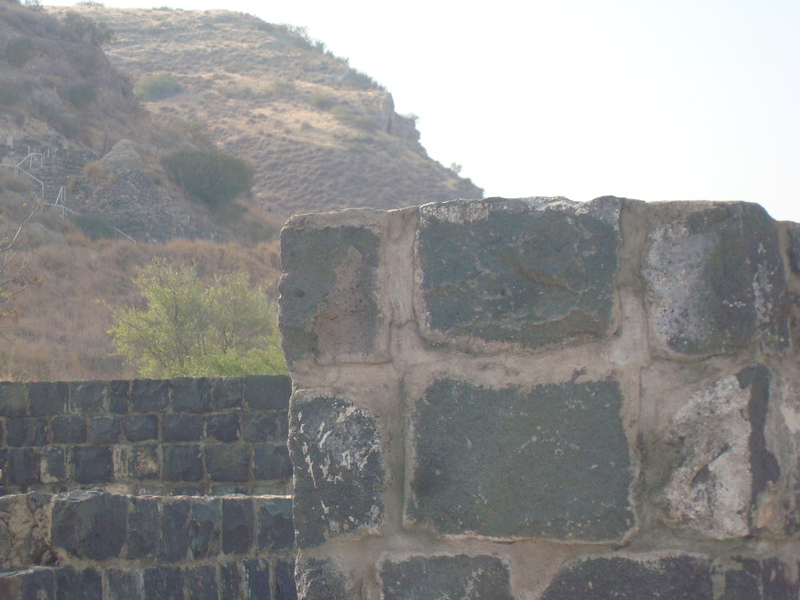 What was wrong with a good Jewish disciple going to the Decapolis? The immediate problem was that Jews did not mix with Gentiles, and the Decapolis was a predominately Gentile area. Jews did not eat Gentile food, intermarry, or even mix socially with Gentiles. Early on, God had given this command in order to keep his people separate from the nations (Deuteronomy 7:3-6). The Pharisees had gone to the extreme, teaching that even if the shadow of a Gentile fell on a Jew, the latter would become defiled. So this decision to go to the “other side” was out of the ordinary and following Jesus there put their Jewish consciences in a sticky situation. We know from reading Acts and Romans this dilemma of Gentiles and Jews was an ongoing problem in the early church, so the disciples were not alone in their predicament. It has been said that “In the first century, the most heated, controversial, doctrinal issue that the church faced was: ‘How do the Gentiles fit into all this?’…Today the most heated, controversial, doctrinal issue that the church faces is: ‘How do the Jews fit into all this?’” But I digress! So pigs or people? The account of Jesus healing Legion and sending the demons, at their request, into the herd of pigs is found in all three Gospels. Favoring pigs over people and dismissing the fact that one of their own was now whole, the villagers are furious at the loss of their livelihood and adamant that Jesus leave them and their pigs alone. It was of no consolation that Legion was able to live as a normal person, the pigs held the supreme place in their hearts. In his article Glory – It’s What You’re Talking About, Louie Giglio wrote, “we know what is supreme in our souls by what comes out of our mouths.” In other words, our treasure, that which we value most, is what we speak about all the time. 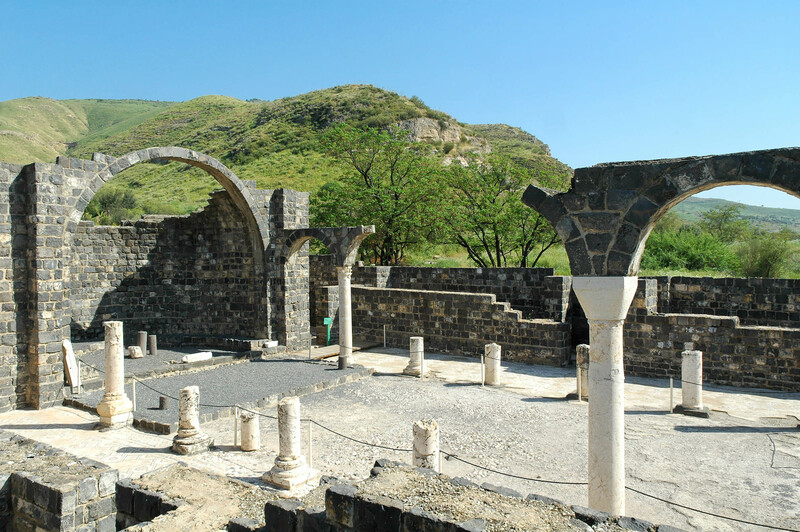 The Gospels use different names for this Decapolis region which is located where the Golan Heights ascend out of the eastern shores of the Sea of Galilee. Mark and Luke call it “Gerasenes” and Matthew identifies it as “Gadarenes.” Today the area is called by its modern Arabic name Kursi. 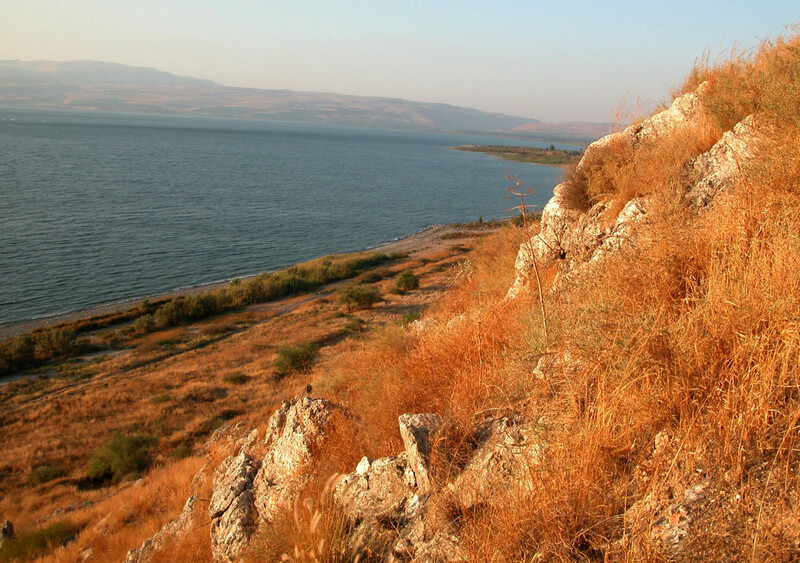 This is one of the few places around the Sea of Galilee that matches the Gospel description of where Jesus healed Legion. It is indeed found on “the other side of the Sea” from Capernaum, with a steep cliff that drops down into the Sea of Galilee, caves which might well have been used as tombs or dwellings in antiquity, and wild boars that still roam the hills. In another amazing Holy Land event, a bulldozer uncovered this site and brought it into the 20th century sunshine! 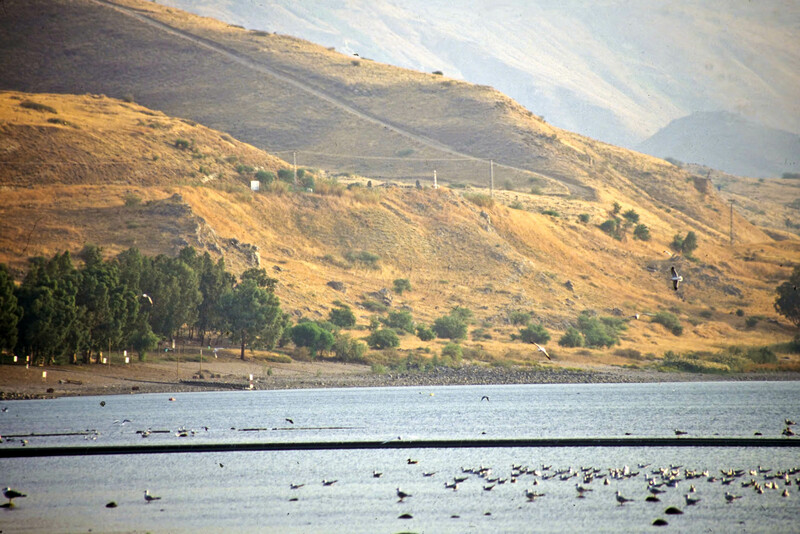 During the 1967 Six Day War, Israel captured the Golan Heights from Syria. Prior to the war, the kibbutzim at the base of the Golan Heights were subjected to daily Syrian sniper fire as they went about their work, a difficult way to live and possibly a reflection of Legion’s life. 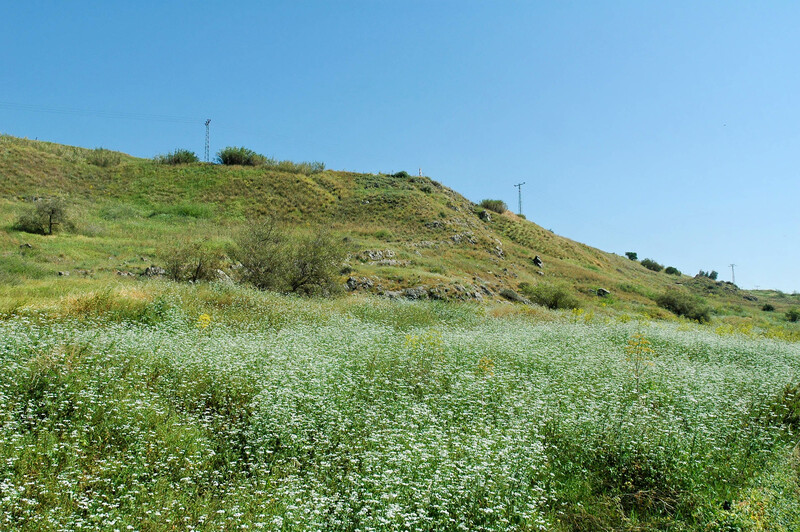 Just like many sites in Israel are revealed during construction, renovation and building, Kursi was discovered right after the war as a road was being bulldozed through the hills. 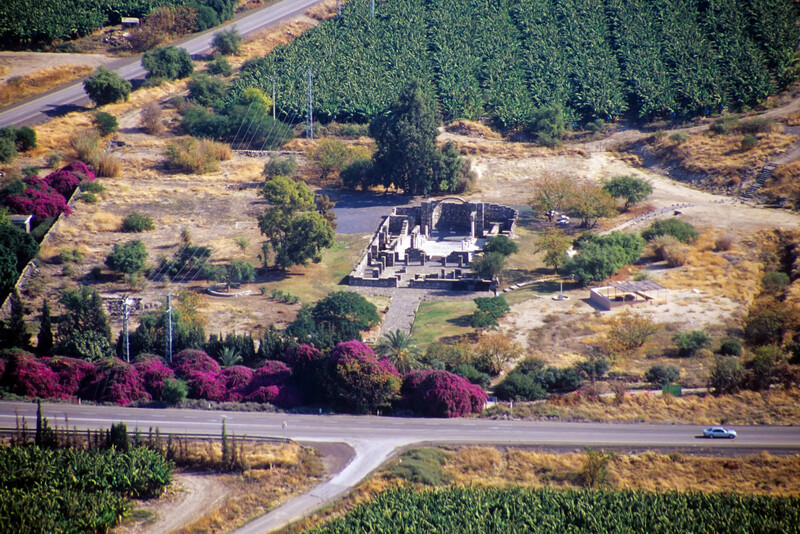 During the early 1970s, the site was excavated and, today it is an Israeli National Park containing the Byzantine ruins of a large basilica-style church and monastery built in the fifth century to commemorate the miracle of Legion.